← What should it cost YOU for YOUR Dynamics CRM Support? In this article we are looking at the benefits of having a marketing strategy in your business and why it is vital to success. Steve Jobs, founder of Apple once famously declared in a meeting that there was only one strategy and it was marketing. Granted that might be overrated but if you are planning growth and your company is growing, then marketing will play a significant role. Marketing should not be seen as another cost, but an investment. Marketing is crucial to any company including yours, no matter how big or small, or whatever you offer - it needs to be done! It is the main strategy of how you engage with your target audience, enabling interaction with customers and allowing customers to gain satisfaction. Without the use of marketing or a marketing strategy it's not always clear for you OR your potential audience, of where you want to be and what you're offering is. Having no marketing approach or strategy can have a massive effect on how well your business succeeds - without marketing you will see little progress. This may all sound a little harsh, but the truth for any growing business to succeed is that a good marketing strategy now, will pay dividends in the future. How you communicate with your target audience is very important and the approach may have to be different depending on who your organisation is trying to target. You will find at times that what works for some people and organisations, may not work for your organisation and this can be frustrating. When you consider the use of social media which is now very popular, you tend to think more of the younger generation who use this (although, this is changing), and therefore if you want to target a large percentage of the older generation this may not be the best medium. However, of course this does depend on your business offering. Communication with your customers is key and marketing is what allows you to do this effectively, whilst building your brand and loyalty. Marketing is an effective way for your business to gain a potential customer's trust. Trust is a significant factor as to whether an individual decides to deal with you or not, and trust can be established through marketing. Having a constant rhythm and churn is more likely to get your business recognised and therefore leading to more sales. Think of it this way, would you be willing to spend money with a company you have never seen or heard of? It's more than likely that the answer would be NO. Marketing plays a massive role in familiarising potential customers with your brand. Ask yourself, how many times do you look for customer reviews before making a purchase? It's all part of, or should be part of your marketing strategy when wanting to grow your potential customer base. Marketing allows your business to test and analyse data. Analysing data allows your business to decide what has or is working well, and helps you make sure you avoid making the same mistake again. Seeing what works best means you can understand what your customers and prospects engage with and therefore this helps you make sure you do MORE of the same! This all comes with testing and measuring your marketing strategies and approach. Also, measuring output and engagement is worth-while for any business, especially yours. The long term pay back will be greater than the effort and will give you real insight into what is currently working and on trend. It's fairly obvious that one of the most important roles of marketing is to produce sales and engagement. Once you have established yourself in the market with the use of a marketing strategy, more and more individuals and organisations will over time engage and begin to trial or test your product. Once this happens, word of mouth takes hold as your new customers start to tell their friends, family and colleagues. Without marketing this would never have happened, meaning reduced sales and continued slow or limited growth. Word of mouth also includes social sharing. When you buy online many businesses now ask you to share your purchase i.e. "I just bought a XYZ product from...". This is very powerful in itself as you're not just verbally telling people about a purchase but recommending a brand or product to your Facebook or twitter following. What Are the Different Types of Marketing Approach & Strategy? In today's world there are so many different solutions that you are able to use to market a business, some might say we have never had it so good, others would say it just makes for a cluttered landscape. We have tried and still use a lot of these at MyCRM. The good news is there is no right or wrong way to choose from all of the different solutions available, and testing is a great way to learn and understand what your target market responds to best. Getting this level of insight from your marketing activity and knowing this will benefit your approach and business over time. A lot of the time marketing can be restricted by budget but just marketing with no testing is a waste. Be prepared to do both and invest the relevant amount of time to make your strategy work so that the invested effort is not wasted on low-yield campaigns. It is a given that all businesses including yours, whatever the product, should be using social media within their marketing strategy. It's a cost effective way to reach a lot of people and create a lot of awareness and potential interest in your brand and your business. However, David Meerman Scott writes in his book that you should be using social media to engage your audience instead of selling, with a rule of 85% engagement, 10% for original content and 5% for selling and promotions. This also means being consistent; there is no point doing a couple of tweets a month or every so often, this frustrates your audience allowing them to become disengaged with your offering and can encourage them to shop elsewhere. Having continuous content means your audience is seeing you more, and is more likely to engage with what you post. Obviously, posting should be kept at a reasonable level e.g. a tweet every hour or 90 minutes and making sure these posts are of good quality content - it's all about quality not quantity! Social media marketing gives companies like yours a chance to show real personality. Having a personality on social media allows your audience to trust there is a real person behind the computer screen. 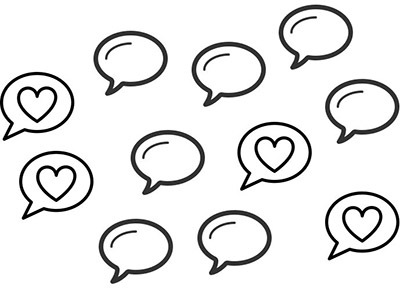 Tests have been carried out and have proven that a post with personality is more likely to get real engagement as audiences can relate more to what you are saying. It's also fun too, but it's a good idea and been proven that you need to make sure you are consistent and also that it matches your company's ethos and approach to business, otherwise this can hinder your social media impact rather than help! Choosing a platform is also important to the level of success received. What this means is picking platforms that are suited to what your company is offering. Some platforms are harder to utilise than others, for example MyCRM does not make use of Instagram as we feel we wouldn't get as much engagement from this medium as much as other platforms; because we are a software company and service provider that focuses on B2B activity and Instagram does not really have this focus. We feel and have defined and tested this as part of our strategy, and realise that we would struggle in comparison to a clothing brand with a tangible product that is more focused on consumer spend. We therefore, have stuck to the main platforms which offer the best return, these include Twitter, Facebook and LinkedIn. By tracking and consistently measuring performance we have realised that we receive an increased amount of impressions, and have a large following who show interest in what we do. My favourite social media platform has to be Twitter, with the use of hashtags, GIFs and Polls, it's an all-round space to produce engagement. Twitter hashtags are very valuable as they allow you to get involved with current events and even communicate with new people. It also helps with your engagement analytics on your Twitter analytics page. Twitter's analytics page is great and gives you really useful insight into what is happening; it gives you a clear and concise view on what's been going on for any given period of time. Platforms should be constantly monitored and reviewed and at MyCRM we measure daily. Having a consistent review of the information tells you how well your tweets are doing, what works best and more importantly what is being consumed and where the engagement high points are. Blogs are now a very popular way for any sized business including yours, to educate your audience on their product or service and also any current news from your organisation. Blogs tend to be very positive and informal so you can literally be yourself and get on a personal level with your subscribers. Having a well maintained, clear blog site with regular blog posts that are made up of your own voice, style and approach will help create an audience that returns. The main function of your blog posts and the blog site is to get across your understanding of a subject that benefits others and educates in given topic areas. This may include information that is on your product or service offering. Once your blog grows in popularity, your sales, interest and interaction with prospects will also grow. Your audience can become dependent on your weekly posts and look forward to gleaning a new snippet or become educated by information you share with them. All blogs start somewhere, and however niche your audience, your blogs will always be beneficial to someone. David Meerman Scott writes in his book "The New Rules of Marketing and PR" about what blogs can do for your business and everything you need to know to begin writing your own. He reassures his readers that whilst writing a blog may start out difficult, once you have had practise it will feel like second nature. If you like to read and self-educate, we recommend this book as a great overview. Another popular marketing channel is email marketing. You have to remember the inception of email is now one of the oldest technologies in use, and with social media, the concept of blogging and news feeds came later. That said, email marketing is still hugely popular and we have all become accustomed to receiving multiple targeted emails per day. 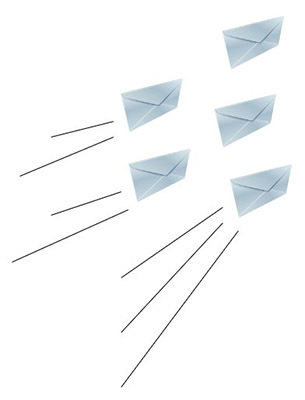 Email marketing can be tracked through the use of a CRM system, it can give you real insight to metrics such as the amount of users who read your email, the number who unsubscribed and the number of people who had organic click-throughs to elsewhere on your website - all useful data for how well the individual email did. Kevan Lee writes in his blog, when email marketing is personalised it can be hugely successful, however this isn't always with just writing the recipient's name - the best techniques are to base your email on the individual's purchase history or recent views etc. Email marketing success also depends on the time of day that you decide to send them out. In the Experian Marketing research paper, they found that the highest open rate was at 8pm at night. However, testing is a huge factor in email marketing because what works for one organisation might not be the best strategy for you. It's always a good idea to try sending emails at different times, or on different days just to compare your open rates and to see what works best for your organisation. In another blog post, we cover off some key points about getting the right CRM system that works for your business, and this includes understanding your marketing approach. Due to the popularity and availability of social media, print is becoming less popular. However, at MyCRM we make use of this marketing approach by putting a double-page ad in magazines such as Elite Business and Your Business, we also include ourselves in magazines on local airlines. Magazines are able to target a specific audience and you can understand why at MyCRM, we advertise in the magazines mentioned above because they are focused at business owner readership. The disadvantages to magazine advertising are that ads can be a large investment and are usually more expensive than advertising in a newspaper, and of course require greater spend commitment than social media. However, it is known that people tend to hold onto magazines longer than they would a newspaper, therefore making it more likely that it will be passed on instead of thrown in the bin. Magazines also allow you to include a lot of detailed information into a small area, however this should be done in a clever way so that the reader isn't put off or confused by the amount of content. Whilst you may not feel it is as important for magazines, testing is still essential and companies should test the layout of their content on a page before finalising it to print. Using postal methods to market your business can either be very effective or not so effective and once again, this depends on your business offering. Usually it's the retail market that tends to utilise this method the most. Asda and Iceland seem to always be sending me leaflets of what special offers they have and I read them because I shop at Asda, and everyone likes to save on their food shop! MyCRM do not use postal methods as we focus on b2b activity as a company, as it would more than likely be discarded as junk mail by the majority or organisation's post handlers and post rooms. Finding out what your customer's pay attention to the best is something that should be done first before deciding that postal methods is the right way for you. A blanket send all approach is probably going to be less effective unless it's from your local superstore. The content in any leaflet sent and how you present it is also a major factor that needs to be considered carefully - it needs to stand out from the rest! You definitely don't want to risk spending money on a badly designed leaflet that will just be thrown in the bin. You also want to make sure it reaches the right people, otherwise if it is irrelevant to the people you've sent it to, it'll be wasted. Recently at MyCRM we received a colourful brochure and from initial first glance looked very appealing, but we soon found that although the company name was detailed, there were no contact details to be found. Remember with print you always need a call to action, guiding any prospect into how they can engage with you. Guerrilla marketing is a fun way of creating brand awareness when an individual is least expecting it. They are normally super creative and it is a cost effective way to reach a lot of people and to spread word of mouth. Because they are so cost effective, they are normally great for smaller businesses who want to make their mark in their industry. If guerrilla marketing goes wrong it can have big consequences on your business. There is also the risk that your audience may not understand it if it is so far-fetched. A successful guerrilla campaign does need to be thought through properly to weigh up all the possible pros and cons. Guerrilla marketing comes in many different forms, but a few examples include graffiti, viral videos, publicity stunts and stickers. Of course, deciding what you do depends a lot on how much money you have to spend and how much risk you are willing to take. Planning an event can be a great way to increase your customer base. By inviting potential customers to come to your event it allows you to promote your product and build a relationship with them, face to face. It can also improve the likelihood of individuals trusting your brand and in turn making them more likely to buy from you in the future. Incorporating events with other things such as discounts or free samples can also increase the chances of your event being a success. Nowadays, everything is incorporated with social media, with attendees tweeting about an event, or posting a picture of the event, it gets others involved and soon you've got virtual attendees too! The key to a successful event is making sure that you have a solid target market so that you invite those who would take an interest in what you offer, and most importantly pulling off an event that is memorable and effective. Tradeshows can be a great tactic for marketing and involves others in your industry. Those that attend don't always have the same interests, although the amount of attendees can be very large so you have a greater chance of getting interest in what you have to offer. There can also be a lot of competition at tradeshows and it's a good idea to think up a creative way to stand out from the rest. Even if attendees don't have a use for you, they may recommend you to someone else or even use you in the future! The big problem with tradeshows is that they can become quite costly, and there is the travelling aspect too! Time may also be an issue as it can take up a whole day or more, which may not be practical if you're needed at the office! A selection of tradeshow organisers can provide you with your display so you don't have to do it, but be aware that this will cost you more. You can even staff a tradeshow with trained temporary staff from companies like Expo Stars. As a business you will do some things well, some things great and other things not so well, so you need to focus on the "what you do well". There is a great saying and it goes something like "Zigzagging to marketing success, is still success!" Which simply means there will be ups and downs but being consistent will deliver rewards. Interestingly, some major organisations do this very well, and some really focus on the key marketing aspects of their business. Take Ikea, as a product offering they are the largest furniture store in the world that sells flat pack furniture but only has an approximate 6% market share. Nobody wants to compete with Ikea as nobody wants to build out of town warehouses that are arranged like a labyrinth that extends the shopping experience. When you get to the end of the experience you have to then take your furniture home and put it together yourself. Ikea focus on what they do well, great quality product, unique experience and the best Swedish meatballs. Look at your organisation and ask yourself the question, what is it we do well? Then identify 1 to 5 items that make your offering unique and that is your marketing strategy! Avoid generic terms or single word statements as these can become meaningless. Marketing is something that does need to be consistent if you want to make any kind of return. Tweeting and posting on Facebook daily will let your customers know that you still exist and that you want to engage with them. However, if you do this every so often it can put off potential customers. It allows you to be heard out of all the other noise on both Twitter and Facebook. Blogging on a regular basis will ensure that you are updating your customers with new products and information and most importantly making sure that you are seen more. If you're seen more than your competitors, then you are more likely to make a sale or gain traction and market share. It's a good idea to have a look at what your main competitors are doing too, just so you can see if what they're doing is working or not - this can be a great research technique for what you should be doing (or not doing) in your own marketing strategy. Why is Having a CRM Solution Important? 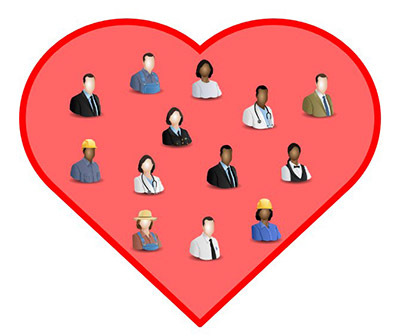 Having a CRM solution in place means that you can effectively manage your customers for the better. You're able to understand their wants and needs in more detail, see what they engage with the most and you can also learn who spends the most money. Allowing yourself to indulge in every little detail possible about your customer, ensures you are able to target them better. Having a CRM solution ultimately leads your business to have increased customer satisfaction, enhanced customer retention and higher profits in the long run. With all of this going on in your business, you're more than likely to attract new customers whilst you're at it too! Though some may think it is a big expense, it is in reality more of an investment to the future of your business and the relationship with your customers. 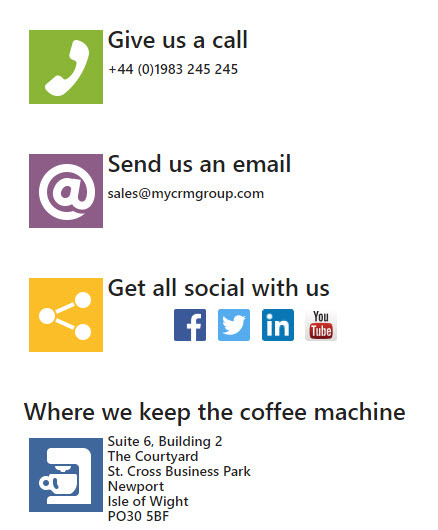 The team at MyCRM have a real interest in your business and its success. CRM or (Customer Relationship Management) is exactly what we do and what we do well. It's not just part of our name, and our approach is not to just sell you a service but make it work so that you and your business get real tangible results and enjoy the experience of working with us. We'll be able to guide you through what we think would be most beneficial for you and your company's needs. We also provide an after sale service where we welcome any queries you may have so that you can carry on using our solutions to the best of their ability.